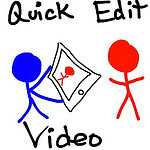 A “quick edit video” is an edited digital video including full-motion video footage, audio, still images, and/or text captions, edited AND published online using only a wireless, digital device like a smartphone or touch tablet computer. 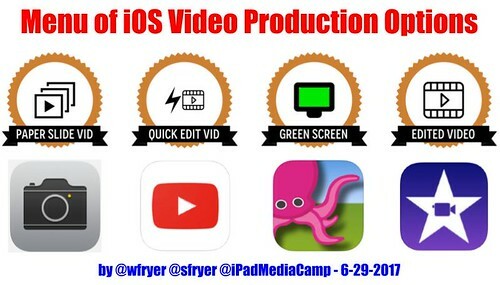 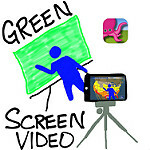 “Paper slide videos” are similar to narrated slideshows, but since they involve live camera recording they can be considered a type of “quick edit video.” Both Green Screen Videos and Puppet Videos are types of quick edit videos. 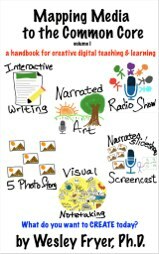 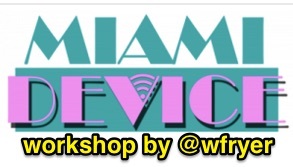 Mapping Media to the Curriculum by Wesley Fryer is licensed under a Creative Commons Attribution-NonCommercial 3.0 Unported License. 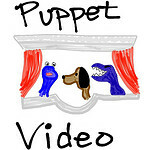 Based on a work at http://mappingmedia.wpengine.com.